I took this fantastic SOCIAL MEDIA class at SCPS NYU with WIRED.com Marketing guy, Jim Hopkinson (The Hopkinson Report). 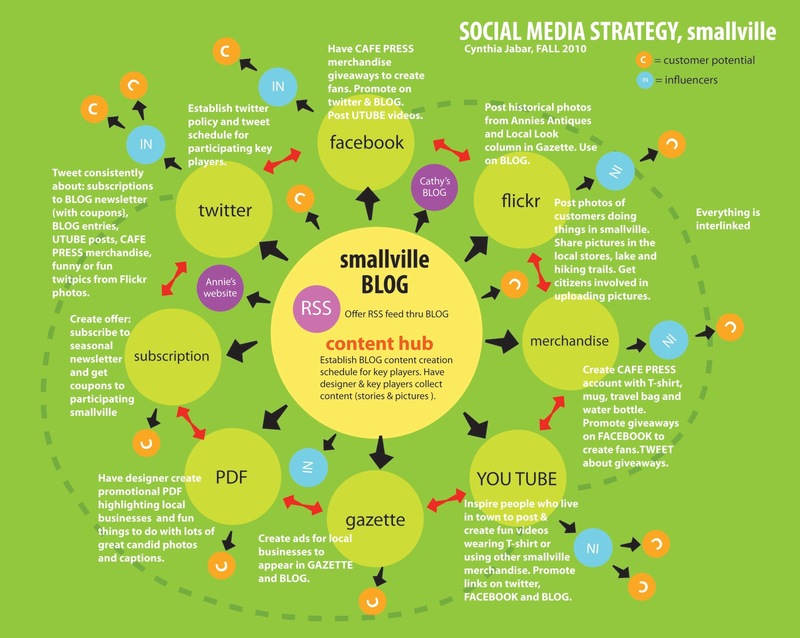 This is the graphic I created for a social media strategy for a fictitious town called Smallville. Social Media is a very important element in digital publishing. You hear about it everywhere. Constant BUZZ. If you are in New York, I recommend taking the SCPS NYU class or reading up online. Dragan Varagic Blog: Fantastic information and lots of different social media templates. 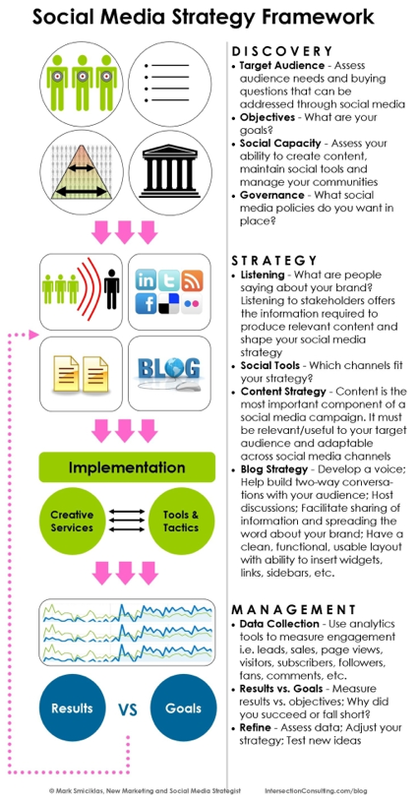 Very Official Blog: Great questions to ask as you create your social media strategy. The Other Media: I like this free PDF social media benchmarking template, easy to follow, great questions. Intersection Marketing Blog: I love the colorful graphic below and break down of phases by Mark Smiciklas. The graphic below is from Tom Chapman, social media strategist for Headstream. 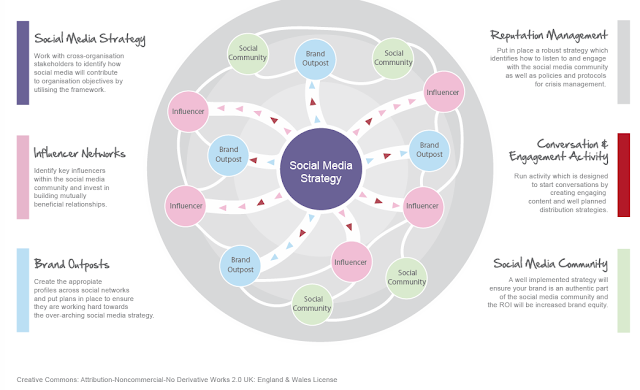 Do you have a social media strategy as an author or illustrator? What does it look like? Does your publisher have one yet? This is so helpful & amazing, Cynthia. I've been looking at mindmapping [like your visual map] for about 1 month now & love it & you've done it with content that is so needed & timely for illustrators. Thanks for sharing & excited for you! What a fab post, Cynthia. Loving your graphic. Thanks Anne, I think illustrators can really take advantage of TWITTER and other social media platforms. Hey Tina, Thanks, I always start with color. 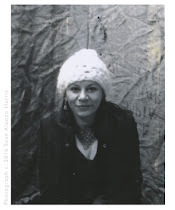 Love your post: http://tinahoggatt.wordpress.com/ on the importance of sharing information about publishing changes. So important.